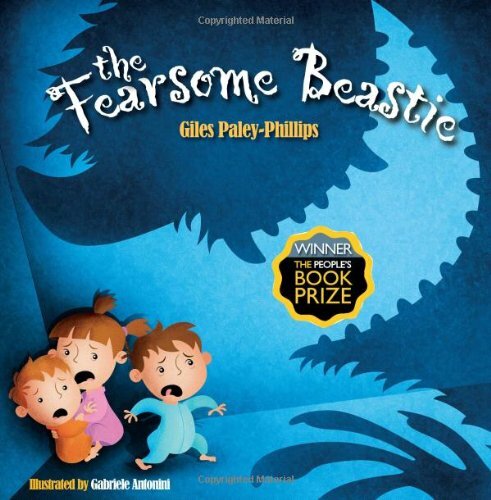 I know Children’s author, Giles Paley-Phillips as one of Twitter’s funny men (do follow him at @eliistender10) and author of fantastic The Fearsome Beastie. I’ve always loved that story, and would recommend it to teachers and library workers as a fantastic story time read to various ages of child. In fact rumour has it, it is soon to be turned into an animation … exciting! So when I saw Little Bell and the Moon hit Twitter I noticed how different it looked to Giles’ previous book. The cover is simple and bold, yet has a sweet feel with the bright smiling moon holding hands with a young girl. It just cries out to be read. So I did! It tells the story of Bell and her nightly adventures with her moon friend, gradually taking us through the years until Bell becomes old and fragile and the inevitable happens. Yes it’s a book about mortality, death and grief and yes it is incredibly sad, but it’s also full of joy for a life lived and the idea that Bell has joined the stars near to her moon and shines brighter than ever is a truly lovely concept. Giles Paley-Philip’s writing is beautiful here, soft and rhythmic it takes you gently by the hand, along with Bell and the Moon, and guides you through their life together with simplicity and care. The repetition of a single line occasionally in the book ties the story together and injects positivity into the tale. And there’s no doubting that a lot children enjoy repetition in stories. It is beautiful and poetic. 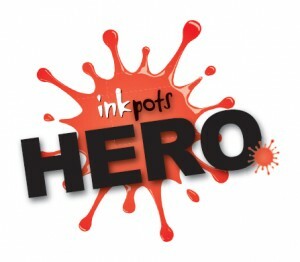 The book is full of exciting adventures that will grab children’s attention. My favourite part is above with the beautiful whales, boats with giant sails and huge waves, so full of interest and movement. 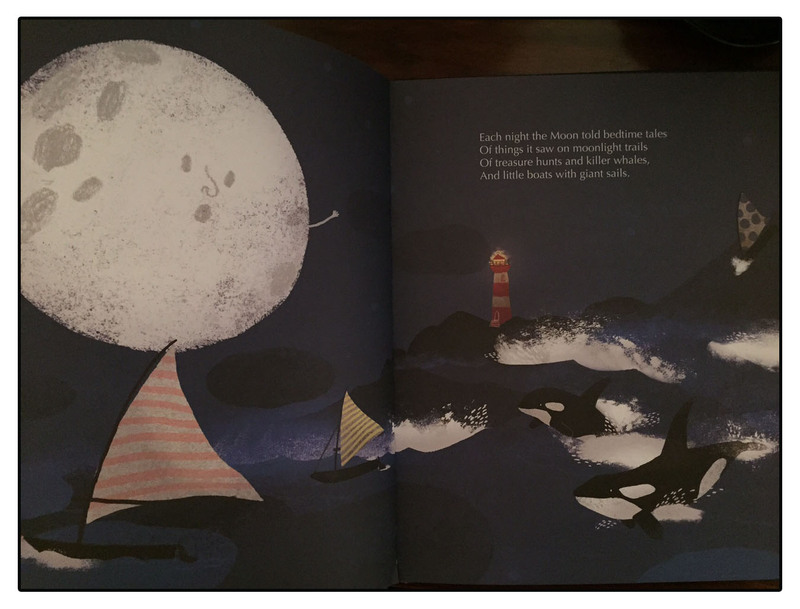 Of course Little Bell and the Moon would be very different without the wonderful illustrations by Iris Deppe. On each page she takes us into a different world, using colour and light to convey various places of adventure. 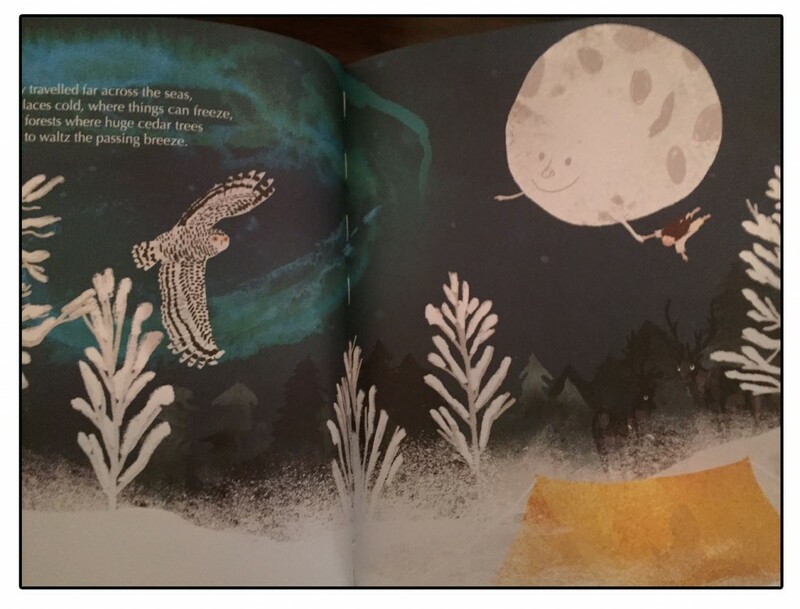 But the central element of every page is Bell and the Moon. We’re given no doubt that they’re the focus of the story. Their faces have gorgeous expression, always smiling to the end. Filled with joy and peace you can only smile back at them. The colour palette is made up of dark and muted backgrounds, with splashes of colour from the interesting elements that Bell and Moon come across. The white glow of the big bright moon lifts the feel and brightens the pages so beautifully just as a real moon brightens up the night and reflects upon everything in it’s path. Very artfully executed. The photos I have taken really don’t do the book justice, it is enchanting. Working in a public library, I’m sad to say we do get asked for books about death to support young children and their parents or carers. 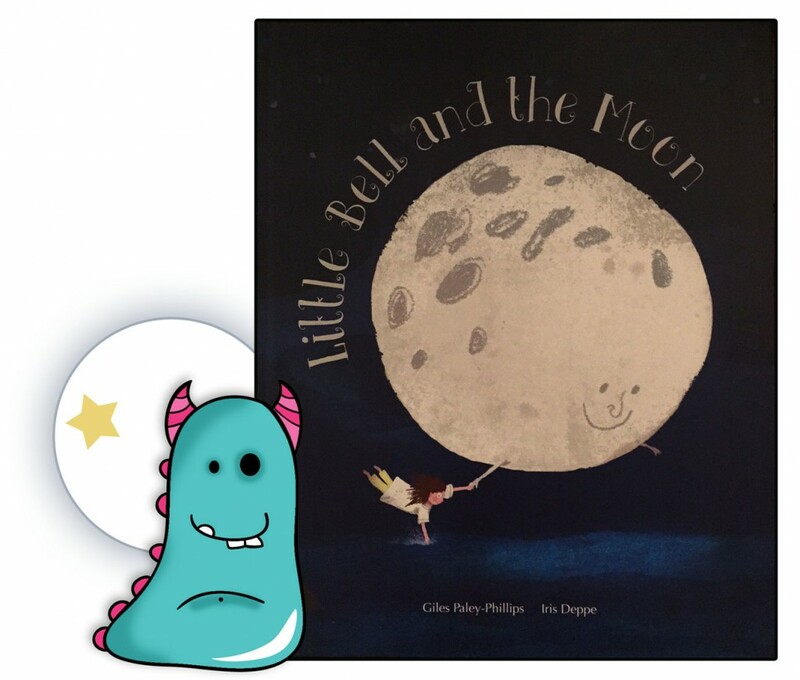 Although there are many great books out there Little Bell and the Moon explains it most simply of any I’ve come across and in a way that many children could understand, but also find much reassurance in. However, this is not a one use book, it can be read to any child at any time. Great for storytelling but also ideal for educational or supportive situations, a rare find indeed. Giles, Iris and Fat Fox Books have created a real gem here. An emotional heart gripping, quality book that I know will be recommending to people in years to come. 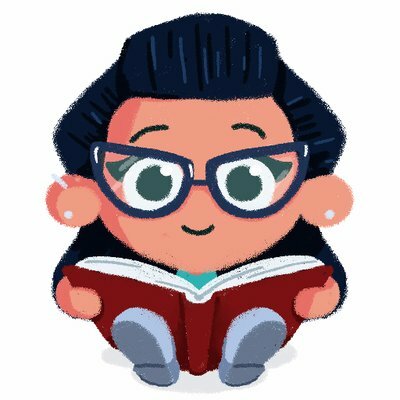 Thank you for going on this book journey with the Book Monster. See you soon!